Introducing the easiest way to safely copy, forward and permanently save iPhone voicemails, text messages and iMessages. It takes just a few minutes and works with all iPhones. Feel secure knowing your iPhone messages will always be safe. Connect your iPhone to the PC and watch your messages automatically transfer to your computer in just seconds. Access voicemails & text conversations from any computer or device. Only solution of it's kind! Voicemails Forever is available for the iPhone. This is the first and only of it's kind on the market! Q: How can I save iPhone voicemails to my computer? A: iPhone Voicemails Forever simply copies and saves your treasured voicemails and uploads them to your Voicemails Forever online account manager for safekeeping. Q: Is there any way I can transfer or save iPhone text and iMessage conversations? A: Yes, full iPhone text conversations can be copied to your Voicemails Forever online account manager along with all photos and video attachments. Q: How do I share my iPhone voicemails and conversations with others? A: Simple! 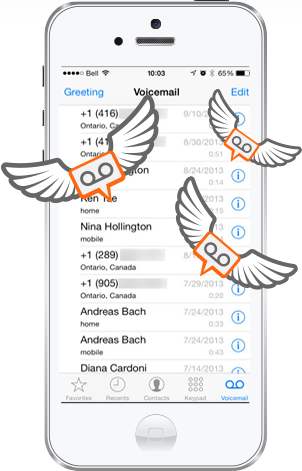 Sending your iMessages and iPhone voicemails is easy! 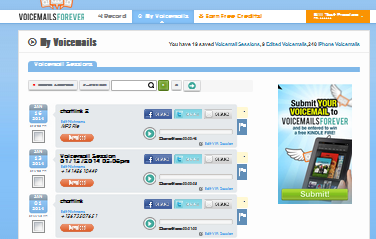 Just download them straight to your computer or use our social sharing link in the Voicemails Forever online account manager. Q: Do I need anything else for it to work? A: All you need is a PC and your iPhone charger and you’re ready to start saving iPhone voicemails to computer instantly. Works on all carriers including Verizon, AT&T and everyone else!